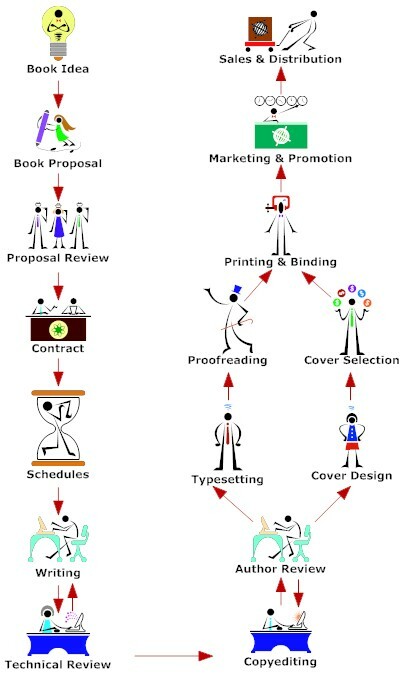 In this section we will see an overview of the book publishing process. A successful book project starts as an idea and ends as a printed book. There are different processes that the idea will have to go through before it becomes a book. Along the way, many ideas will fall apart or fail to reach the final stage. In many cases the final book may fail in the market. Most of these failures, both during and after publishing can be avoided with careful planning, detailed research, and effective time management. We will discuss these issues later. The purpose of this section is to familiarize you with the publishing process. The book publishing process will vary considerably from publisher to publisher. But the phases given in this section will be present in most cases. We will see the different phases in more detail in the next sections.